It was the vigorous determination to de-stigmatise Aids Orphans that birthed an extraordinarily powerful and distinguishable Brand. Sibulele Sibaca, a dynamic motivational speaker and author with an inspiring personal story, was indeed an Aids orphan because she had lost her parents to Aids at the tender age of 16. But, she was determined not to be a victim of her circumstances. Through a series of life events, Sibu as she is affectionately known, has uncovered her purpose and innate ability to inspire others by sharing her testimony through her insightful talks that are sure to energise your spirit and awaken your untapped potential. Her teachings are centred on tackling young women’s issues, developing a healthy self-esteem, entrepreneurship and empowering people to embrace life challenges as opportunities for growth and self-discovery. Sibu’s life in itself is an example of the power of perseverance, unwavering determination and the infinite potential of the human spirit in everyone. It was her work in the “LoveLife” Centre that her life changed for the better. She soon became a “Groundbreaker”…literally! 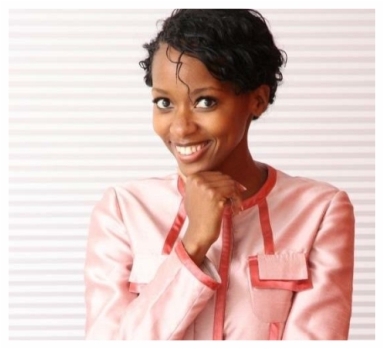 Through the expository teaching of her compelling story, Sibu has travelled around the globe and consequently, was head hunted by RichardBranson to head up the Corporate Social Investment Department for the Virgin Group in South Africa. It was then that her career catapulted and was afforded the opportunity to address international dignitaries and celebrities such as the former President Mandela, the leaders of the G8, Jada Pinkett-Smit, Will Smith, India Arie and Yvonne Chaka-Chaka. The list of powerful and influential people she has been privileged to address is extensive. Whether she’s speaking in front of an audience of thousands, huddling with the nation’s most accomplished leaders or mentoring a new generation, Sibu unleashes the possibility that exists once we embrace our obstacles and dare to stand up and lead. Her authenticity, courage and contagious passion have made her a trusted voice for her generation. Her petite physique and enduring spirit unleashes an astounding voice that is determined to create a legacy of impact and inspiration.